Since I haven’t blogged much lately, here’s an update on the past few weeks. This fall has been filled with a lot of visitors from back home. My parents flew out in October for the first time and we really enjoyed showing them around. We packed a lot of activities into one weekend: obligatory Space Needle and Pike Place Market visit, Lake Union dinner cruise, pizza at Serious Pie, ferry ride to Bainbridge with wine and beer tasting, hiking Rattlesnake Ridge, and of course, church and brunch at Nollie’s. Although it was a busy weekend, we had a lot of fun! 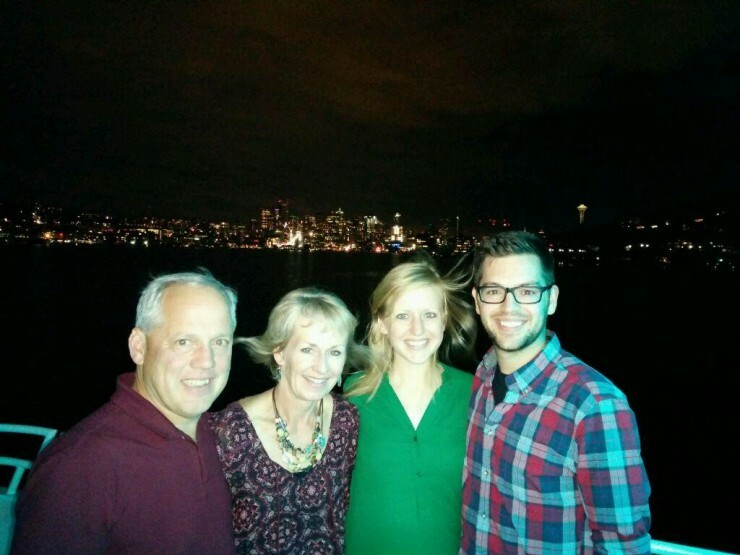 Evan and I with my parents on the dinner cruise on Lake Union. 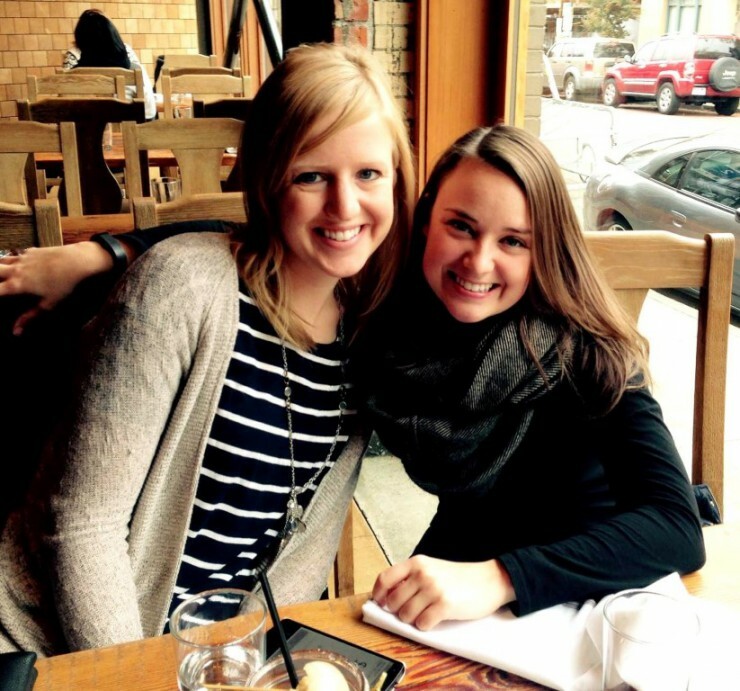 My good friend Emily also came to visit in October over her Birthday weekend. We had a girls’ day tasting wine in Woodinville and drank lots of good coffee at the Starbucks Roastery. We wandered around the market, looked at Christmas decor (thanks for sharing my love of Christmas, Em! ), got our nails done and went shopping. I loved being able to spend all weekend with her; it sure made me miss living 10 minutes away from each other. She wrote a great little recap with lots of photos of her mini trip out here on her blog – check it out! Emily and I at brunch! And finally, two weekends ago, our friends Kellie and Dan visited. 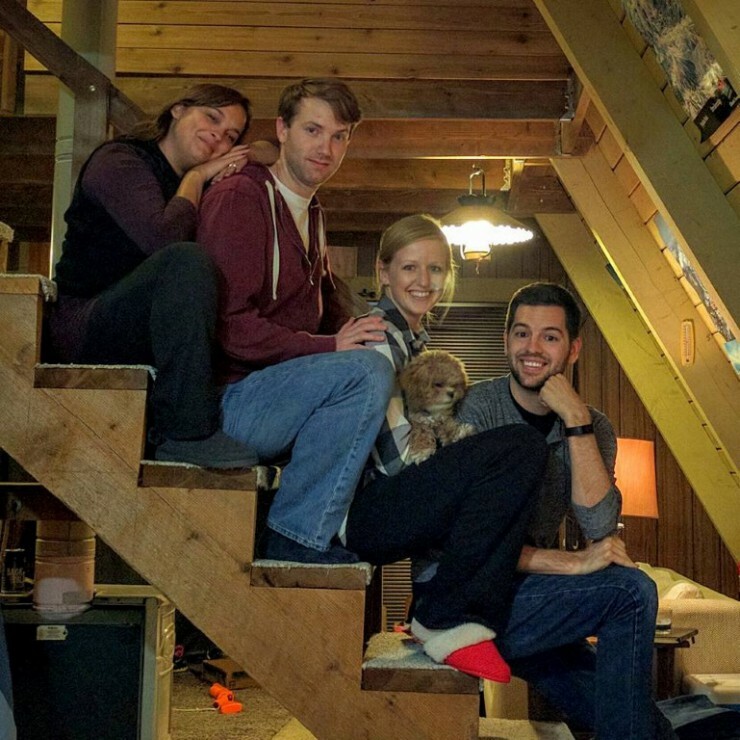 We rented a small A-frame cabin in the mountains near Skykomish to continue our yearly glamping trip; although it rained the entire time we were there, we had a blast playing a lot of Exploding Kittens and Slap .45 indoors. We also held our 5th annual Friendsgiving dinner. I cheated and make a chicken instead of turkey to save time, but I made my go-to stuffing recipe, sweet potatoes, green beans, and pumpkin pie. It was a great weekend! Our super awkward “family” glamping photo. This is why we’re such good friends. Whenever we have visitors in town, I always like having treats on hand. I did some browsing to find a new pumpkin recipe to try and I stumbled upon a recipe on Pinterest for mini pumpkin donuts. I made them twice during our month of visitors and they were delicious! I had leftover pumpkin in the refrigerator last weekend and I was in the mood for something to go with a latte, so I decided to do some baking. Since I’m always interested in tweaking recipes and I was feeling a little adventurous, I modified this pumpkin donut recipe to make it my own. I opted out of rolling them in butter, cinnamon and sugar, and added cinnamon chips to the batter instead. 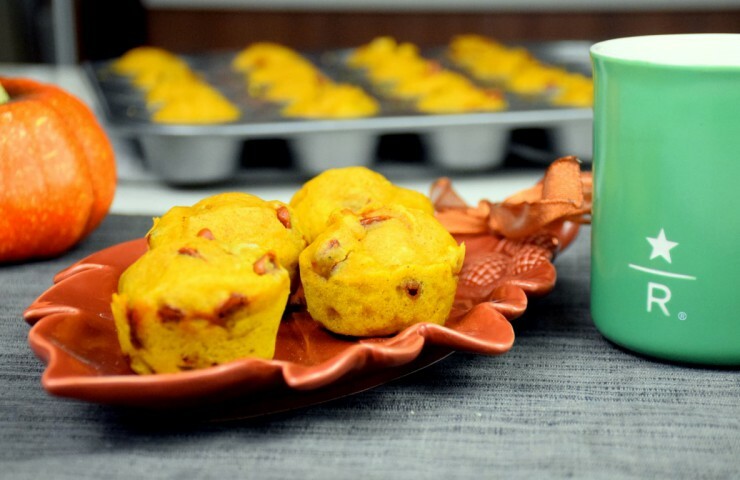 The result: a less sweet muffin with a great pumpkin and cinnamon flavor! Begin by preheating the oven to 350°F. 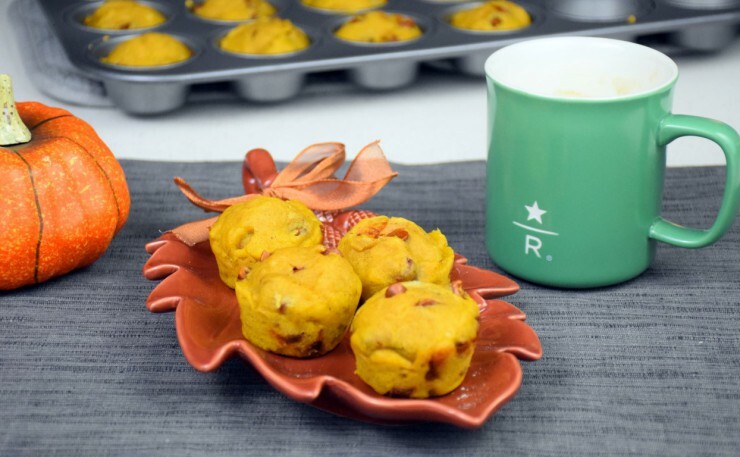 Grease a mini muffin pan and set aside. In a large bowl, beat an egg with brown sugar. Pour in vegetable oil, milk and vanilla extract and stir. Then mix in the pumpkin. In another bowl, sift together flour, baking powder, salt, cinnamon, nutmeg and pumpkin spice. Slowly add the dry ingredients to the wet ingredients, stirring occasionally as you add. Continue stirring until all of the ingredients are combined. Fold in the cinnamon chips. Side note: I typically find cinnamon chips at my local grocery store, but always have a hard time finding them at Target. 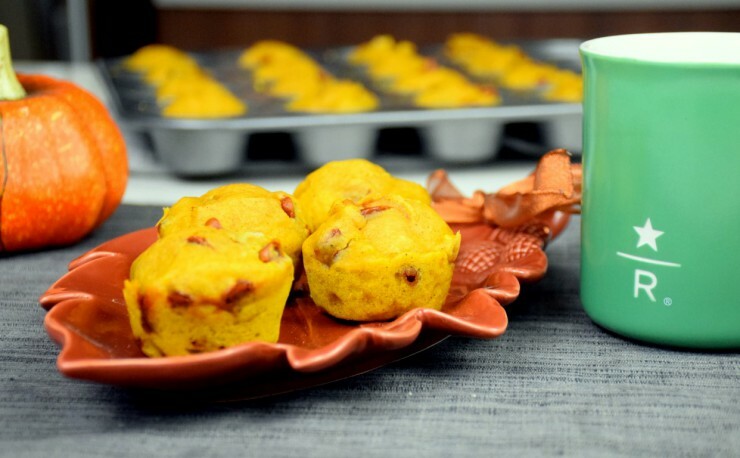 Use a tablespoon to divide the batter throughout the greased mini muffin tin. Bake for 10 to 12 minutes, until slightly golden brown and a toothpick comes out clean. Serve immediately or let cool completely before storing in an airtight container in the refrigerator. In a large bowl, beat egg with brown sugar. Add in vegetable oil, milk, vanilla and pumpkin. In another bowl, sift flour, baking powder, salt, cinnamon, nutmeg and pumpkin spice. Slowly add dry ingredients to wet ingredients and stir until just combined. Divide batter into mini muffin tin. Bake for 10-12 minutes, until a toothpick comes out clean. Let cool on a cooling rack before storing in an airtight container in the refrigerator.